If we want our world to be more beautiful, kind and fair, then shouldn’t some of our activism be beautiful, kind and fair? The word “activism” can conjure up connotations of quick signings of petitions, clicktivism, or loud and aggressive ways to demand justice. But activism can be different. 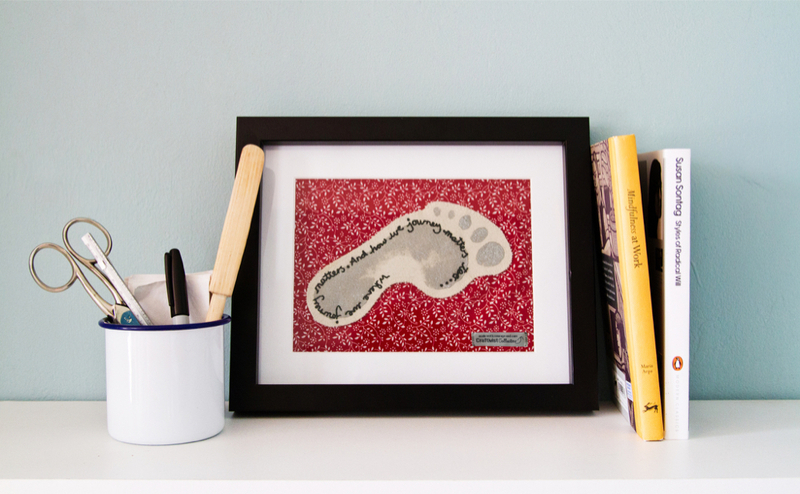 I believe that Craftivism - activism through craft - can be an effective tool in the activism toolkit. I’ve been a Craftivist since 2008. My approach to Craftivism is to tackle issues not with anger and shouting, but with gentle protest. Gentleness is not weak, it requires self-control in the face of anger, injustice and sadness. Gentle protest lets us have conversation instead of an argument, debate instead of shouting, and collaboration instead of opposition. I became a Craftivist because I had become a burnt out activist. I grew up in a low-income area of Liverpool, and aged just 3 I was joining my parents and community in their campaigning. I went on to become a professional campaigner but I’m an introvert, and so many traditional forms of activism drained me. And I didn’t like demonizing people or telling them what to do. One day I picked up a craft kit for a long train journey. Stitching immediately calmed me down. It helped me think more clearly and it felt empowering. People asked me questions about what I was making. I began to leave small pieces of provocative street art in my area, and those pieces started conversations on and offline. I embroidered a hanky as a gift for my local politician with a personal message. It felt much more respectful than shouting at her. We became critical friends rather than aggressive enemies. 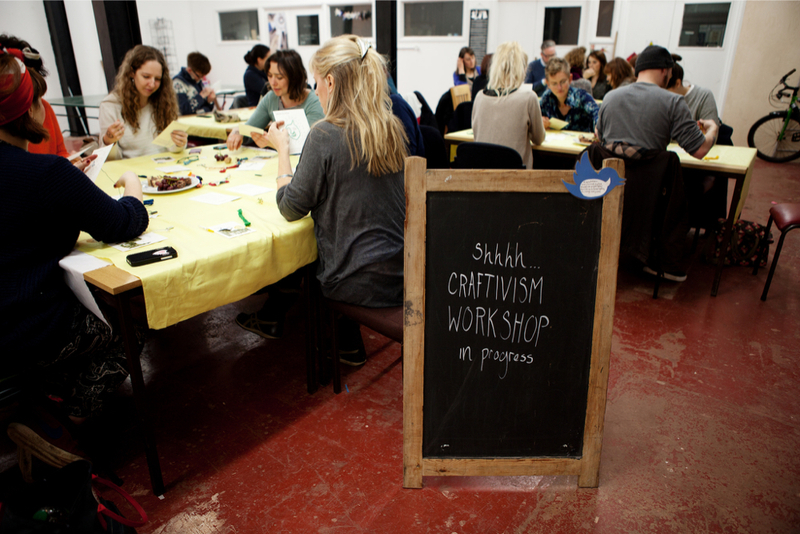 In 2009, I set up the Craftivist Collective after much demand and to help people become effective Craftivists and good global citizens. I don't want to create just another book of craftivism projects. 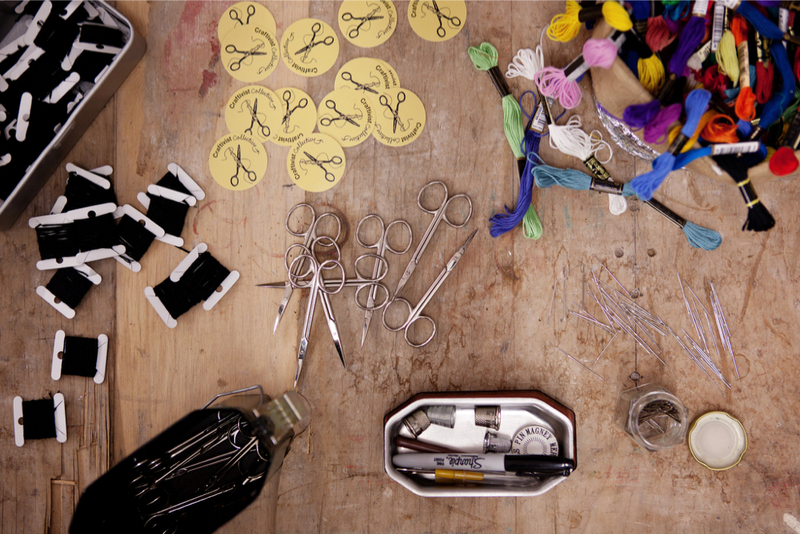 I want my book to get to the heart of what Craftivism is about - the purpose, process and pitfalls. 4. 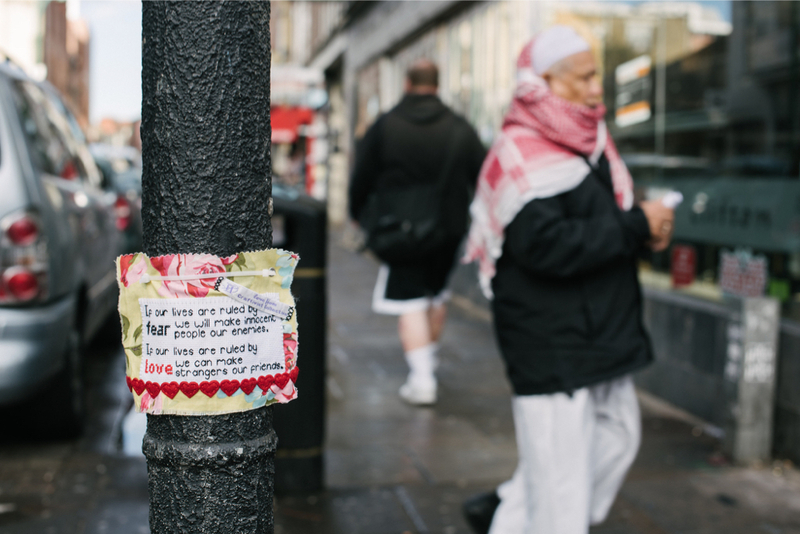 How Craftivism can create conversations and action in places where social justice isn’t often discussed. 5. How I’ve learnt from the challenges I’ve faced. 6. 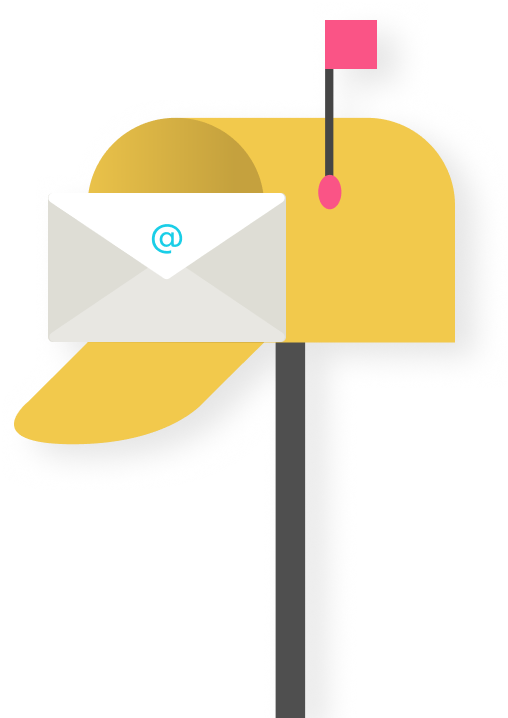 How, with some examples from case studies, you can transfer skills into other parts of your life. Gentleness, conversation and collaboration can make our world a better place, and the road there less angry, aggressive and divisive. Sarah Corbett grew up in an activist family and has worked as a professional campaigner for 6 years most recently with Oxfam. She started doing craftivism (craft + activism) in 2008. 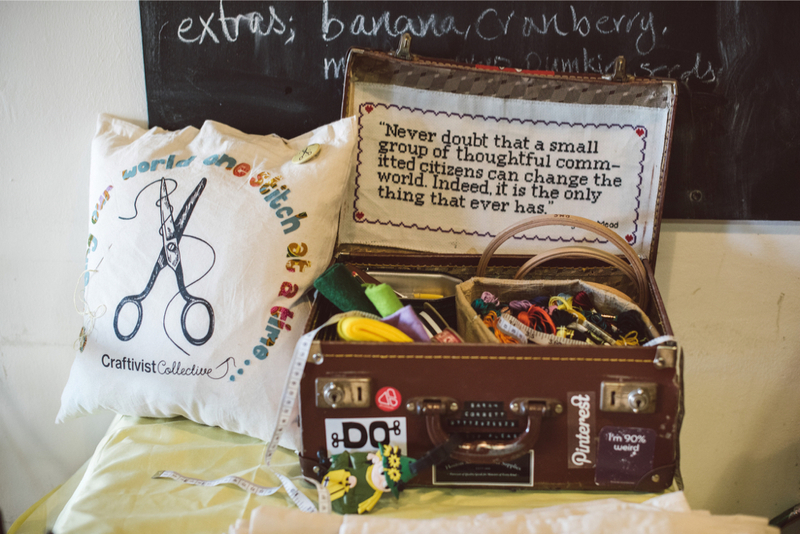 Due to demand Sarah set up the global Craftivist Collective in 2009 providing projects, tools and services to individuals and organisations wanting to learn effective craftivism. 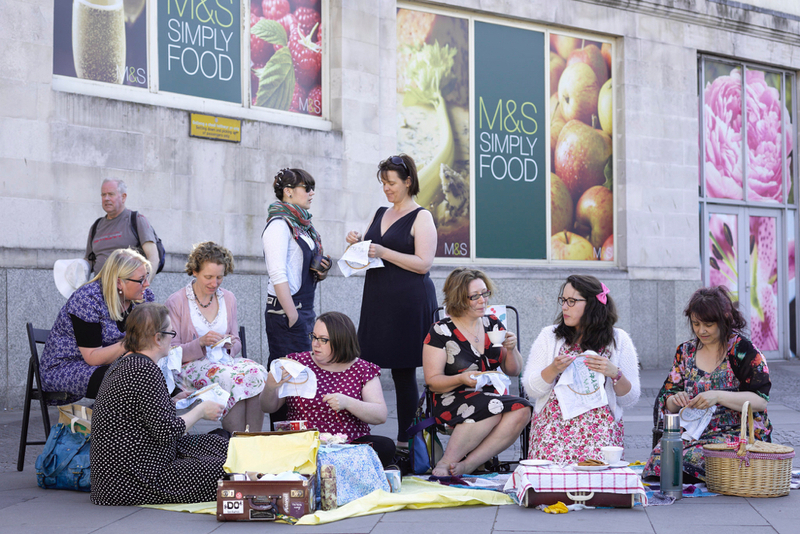 She is now one of the leading spokespeople in the craftivism movement. Corbett has delivered over 300 workshops and events to over 11,000 people worldwide. She works with art institutions such as the Southbank & National Portrait Gallery as well as charities such as Save the Children & Unicef. She has collaborated with cult jewellers Tatty Devine & Secret Cinema amongst others and has just finished her first solo exhibition called ‘Gentle Protest’ in Stockholm. Corbett has taught her approach to craftivism at universities including Bauhaus University in Germany and Parsons New School in New York City*. Her first book “A Little Book of Craftivism” was published October 2013. @LaurenLaverne: Want to do something positive with your Monday morning? Check out www.craftivist-collective.com Their book #ALittleBookofCraftivism is wonderful! @Fablepatchtree: Watching Do Lectures @craftivists talk has made me (a quiet, anxious crafter) feel a little taller, louder and more forceful. Sarah Corbett commented on this blog post. 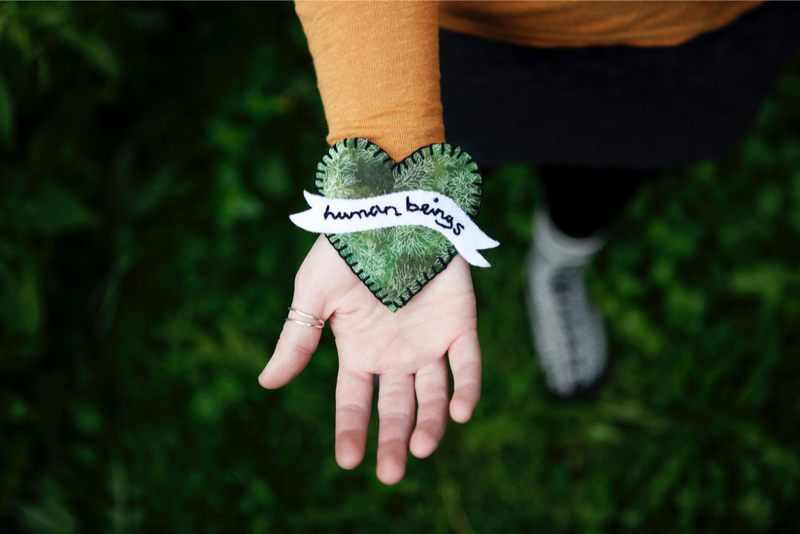 These people are helping to fund How To Be A Craftivist: the art of gentle protest. Great project! I have pledged; I hope a lot of other people do too! Can I just say Great idea. But there ought to be a mechanism for ordering more than 1 book at a time. so you can buy them in bundles - I know you have the Read one with a friend option but I don't have a named individual yet . So I would have ordered one for a craft group. But I would have to go through the pledge process twice - which is a bit daft. Congratulations for getting it more than 110% funded. 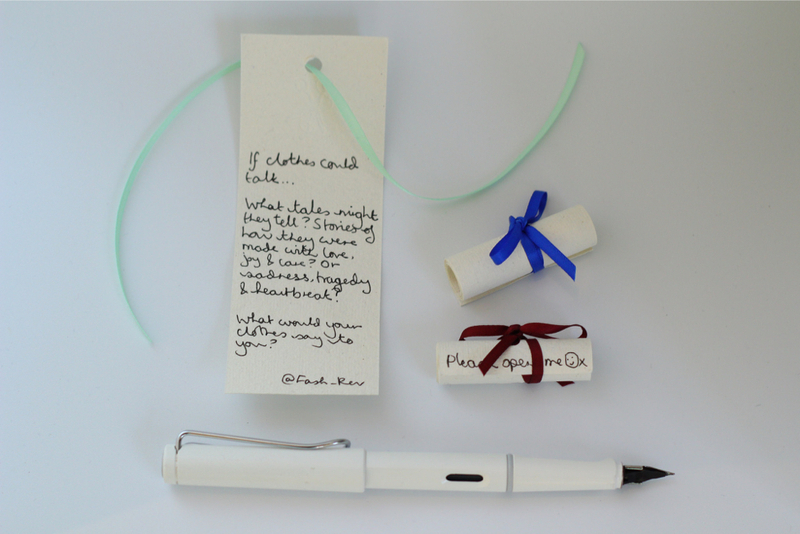 I just pledged -and plan to give the book away as a present. Any idea when it will be shipping? I've just ordered a book for a friend - can I get her name put in it instead of mine please?